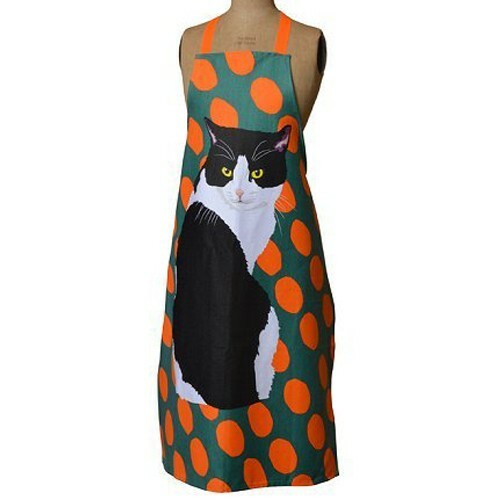 Beautiful black and white cat apron featuring an orange and teal spotty pattern with a massive black and white cat. These unique designs have been created by Leslie Gerry. Made from 100% cotton. They would surely make one of the most amazing gifts ever for the cat lover. Also available is a similar design featuring a black cat. View the Black Cat Apron here!